After years as a ‘fill-in when short’ mate of the Sterry’s, Dan joined the squad full-time for the start of the 2015/16 season and ended it as player of the year, thanks in no small part to his superb performances at Worldnet in Preston. Determined and skilful, Dan is equally at home in a number of positions and his recent move to Sydney has left a gap in the squad, though it’s hoped the occasional visit home will see him join the 50 appearance club. 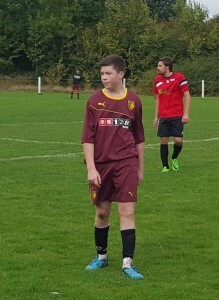 A goalscoring debut as a striker against Southampton in 2013 was a unique introduction to WIFC for centre half Ben, who has since made the defensive position his home where his speed and strength bely his young age. Given the nickname Horse by Moz Clarke, Ben was first introduced to the team by Ed Sterry and is now a key member of the squad. Arguably the greatest name in WIFC history, Cleveland was another ticket office staff member recruited to the ranks who has gone on to become a regular. Deceptively quick, Cleveland scored a belter of a first goal for the club at Manchester City and also played a memorable hand in the IFA cup win at St Johnstone in his first season. Nicknames – None, yet. Somehow. Midfielder Charlie had a memorable first season with the club in 2015/16. After a debut at Man City, he opened his goalscoring account with a spectacular hat-trick at West Ham and became a key player in either midfield or up front. Off the pitch, a spot of bother the night before the St Johnstone cup tie added to the story and ensured that Charlie has become an integral member of the squad. It had to happen, and when Mark exploded onto the WIFC scene in 2015 it did, as he became the first player to appear for the club who was born after its 1997 bow. His first goal came in a total of 4 against Tranmere in an IFA Cup tie early that season and was the beginning of a prolific spell to date, which saw him finish his first season with 20 goals and a best newcomer award. Another recent recruit to the ranks, keeper Kristian joined at the start of the 2016/17 season. One of the matchday Vicarage Roadie team at Watford, Kristian went on to keep a clean sheet in his second start against AFC Wimbledon and increases the options between the sticks for the Internet ‘Orns. Speedy midfielder Lamar was another player recruited from the ticket office staff at Vicarage Road to help boost numbers for an away game and has stuck around ever since. Lamar’s first season saw him earn a man of the match award in the IFA cup tie against Tranmere and played a key role in the away win at St Johnstone later in the campaign. The younger of the Sitkowski brothers, hence acquiring the unfortunate nickname above, David joined shortly after older brother John and has made himself at home in the WIFC backline since making his debut in 2013. 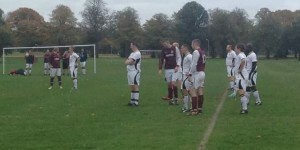 Having also notched on two occasions, David has become a valued member of the side. Soon after a promising debut in a memorable win at Barnet in 2011, Max disappeared to the other side of the world, returning for the odd fleeting appearance until he came home permanently in 2016. Now recently signed up for the full squad, Max is now settling into a midfield berth and looking for his first goal for the club. Despite his spectacularly unfit appearance, Ally has become a vital cog in the WIFC machine since being introduced to the club by Chris’ Dundon and Dew in 2013. At home playing anywhere in the spine of the team, Ally has a useful goals per game record for someone who possesses very few of the attributes usually associated with strikers, Ally holds a unique WIFC record in being voted best newcomer and player of the year in his debut campaign.